Birthday Party at an Ice Skating Rink can be an unforgetable experience for you and your children. Ice skating is a wonderful activity for children which brings them a lot of fun and joy. Learning how to ice skate is fun, especially if you can do it with your friends. Iceland ice skating birthday party includes a 15 minute group lesson for all the party attendees. So welcome to Iceland where you can spend a day filled with fun and excitement while enjoying the invigorating sport of ice skating. Our company offers one of the most unique experiences you can find. 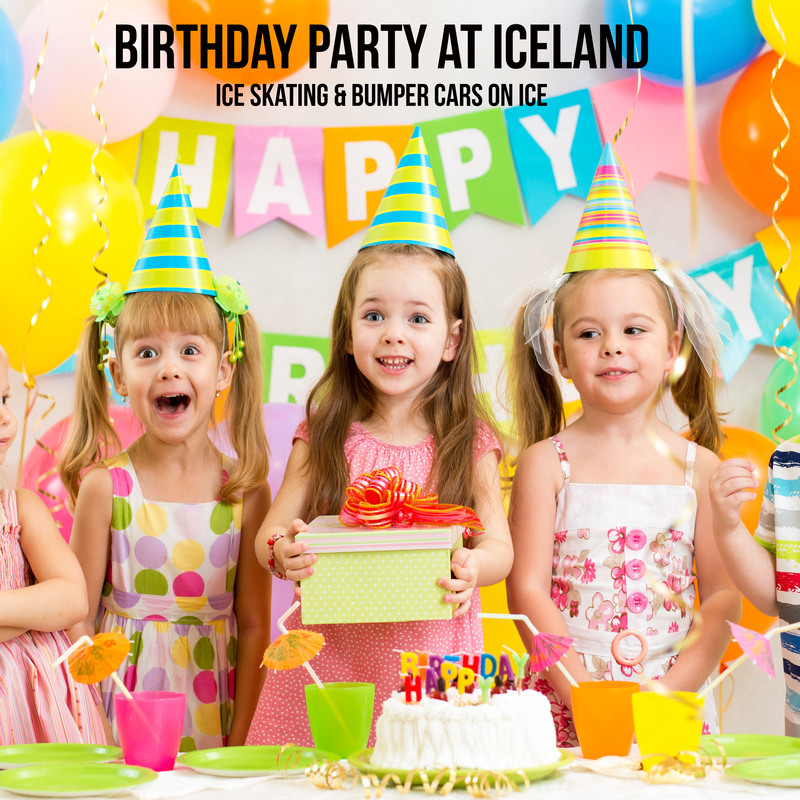 You now have the chance to spend your child’s birthday party skating and riding bumper cars on ice ! Iceland is the first ice rink in California to offer bumper cars on ice. We have Public and Private packages available. Public package works best for 10-25 people. You can choose ice skating, or you can pick Ice Skating and Bumper Cars Combo. Private parties works best for 25 people and up. For Public packages we charge per person and for Private we charge per hour. See details bellow. After reserving a party, please make sure to call us at (818) 785 -2171 to confirm just to prevent a double booking. If sent to voicemail, please leave a detailed message regarding your party.